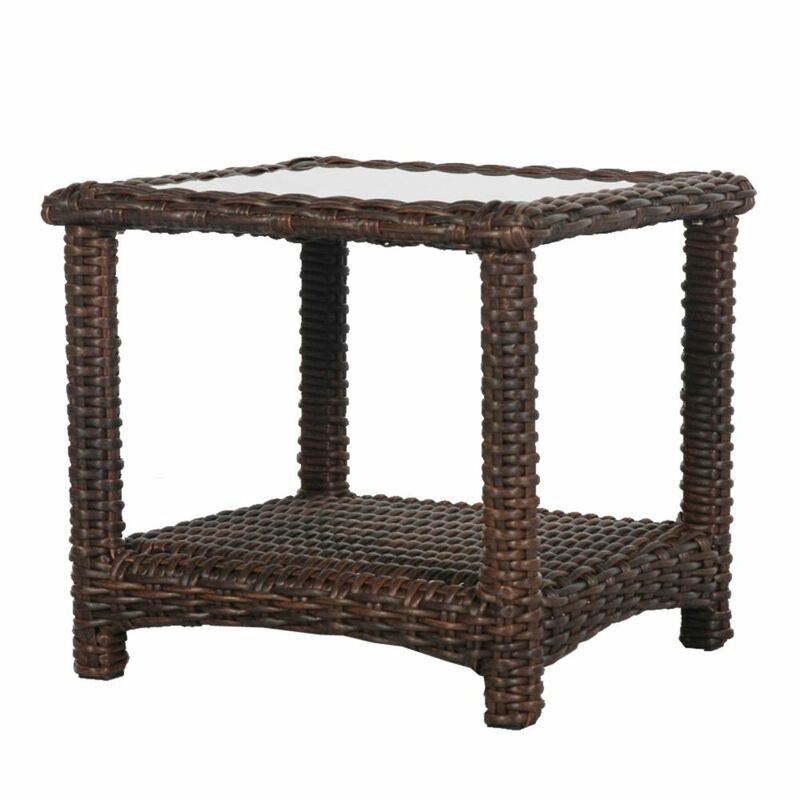 Relax in style and sophistication, and enjoy the outdoors with the Beacon Park Accent Table. A sturdy, rust-resistant frame supports intricately woven, rich brown wicker, and features a slat top with a rustic finish. Use as a standalone piece, or include other Beacon Park furniture elements to create a complete look. Mill Valley 22-inch Square End Table with Inset Clear Glass Top is rated 4.7 out of 5 by 20. Rated 5 out of 5 by Gary from Very nice piece of furniture. Assembly is very easy just 8 screws. Its best to put it all togeth... Very nice piece of furniture. Assembly is very easy just 8 screws. Its best to put it all together and leave the screws real loose until all 8 screws have been started. Rated 5 out of 5 by Marci from Table is very study. I love the glass top. Table is very study. I love the glass top. Rated 5 out of 5 by Rancho from Nice sturdy table. ... Nice sturdy table.